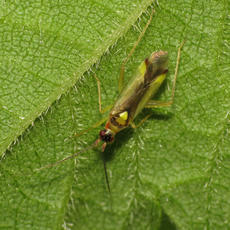 Length 4 to 5 mm. 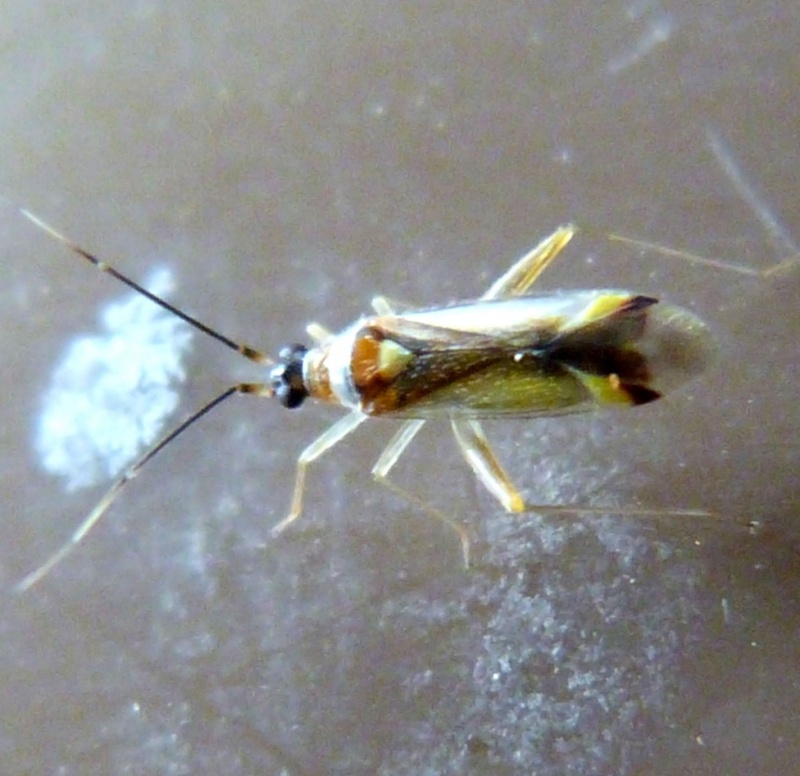 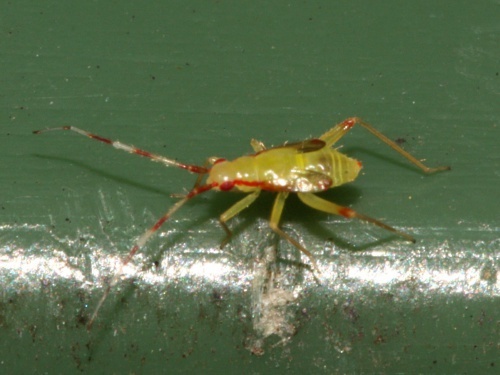 A distinctively marked species which has very long antennae and a bright yellow cuneus, tipped with dark red. 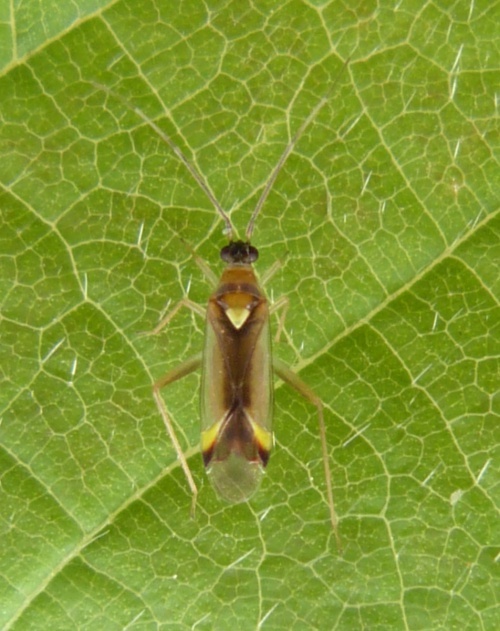 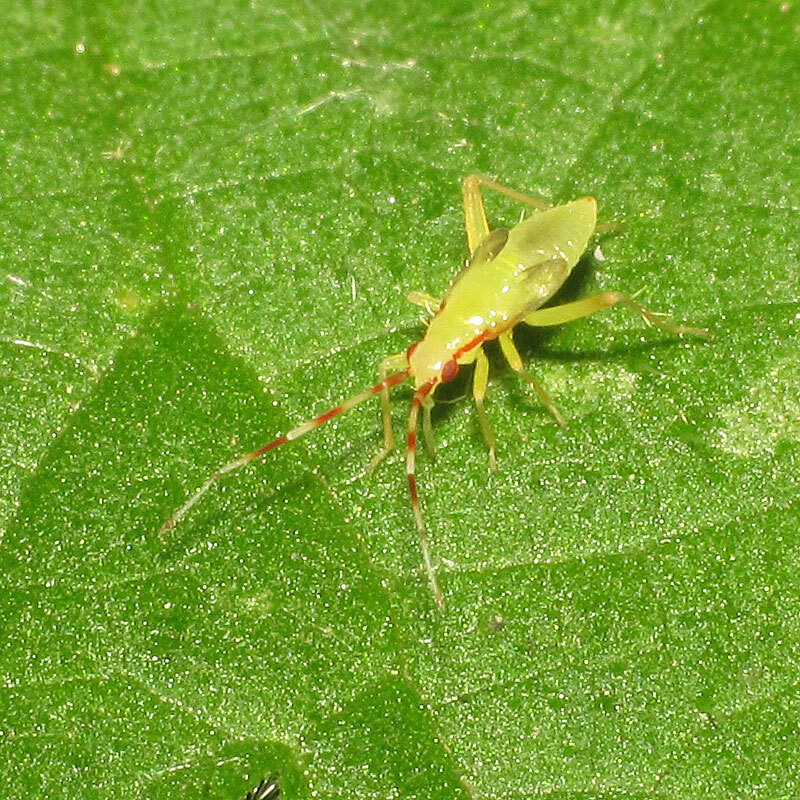 Nymphs are yellow, with red-banded antennae and a red stripe on the margins of the pronotum. 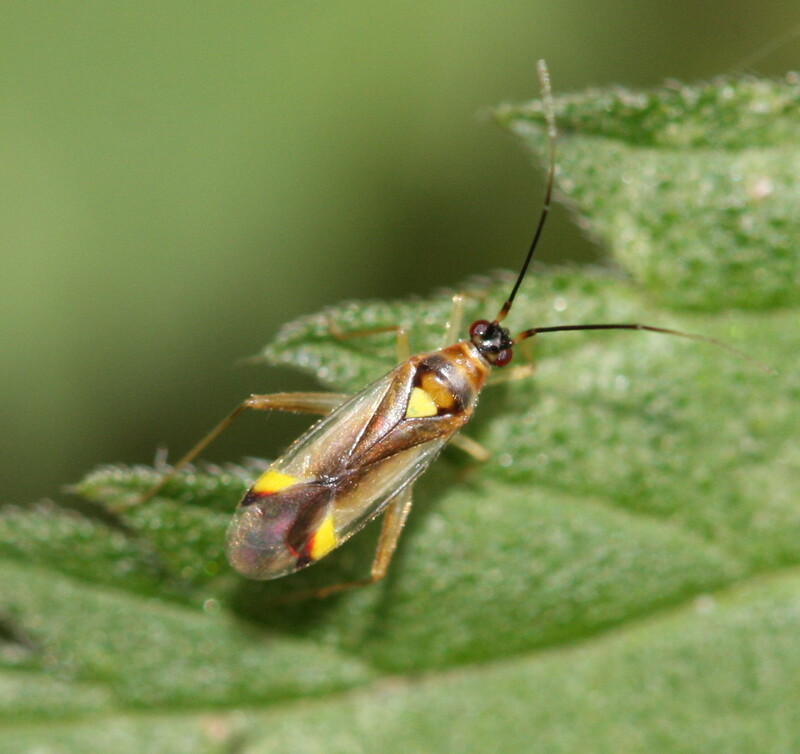 Males are extremely rare; raising the possibility that C. virgula might be parthenogenetic. Found on a range of trees particularly Hazel, Hawthorn and Oak. This is a predatory bug.